Redbox is offering 10 Days of Deals on Redbox rentals. 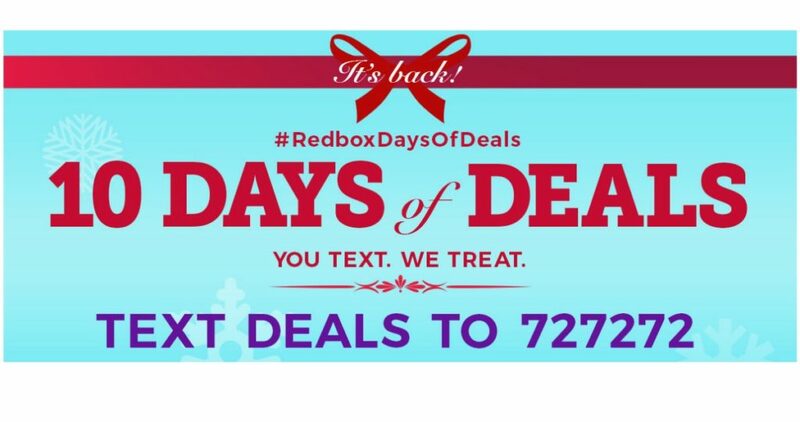 To get this deal, text DEALS to 727272. You can text this everyday through 12/10 to get these deals. Receive a discount valid for 50¢-75¢ off any disc rental, $1 off (2) disc rentals, or rent any disc and get a 1-day DVD rental free. These codes are valid online or in the mobile app.